The Swivl base will follow the movement of the marker using an infrared signal. For best results, the marker must maintain a relatively direct line of sight with the Swivl base and we recommend using a table or floor stand. The marker will function at a range of 3-30 feet from the base, but a distance of 5-20 feet is preferred. We recommend that you practice moving around a room using the infrared signal. You may notice that the infrared signal may even reflect off of smooth, shiny surfaces or become blocked by a loose sweater or tie. Height: Whenever possible, mount your robot on one of our floor stands or your own tripod to ensure the presenter can be captured in full view. Tilt: Auto-Tilt is helpful when you want to pan up and down, but if you find your lighting conditions or environment adversely affects tilt, turn it off in your Settings menu. Try Tilt Correction instead: our experimental face-detection feature can help keep you in frame, but keep the marker close to your chest, either with a lanyard or lanyard clip. *Want to record your lesson/presentation? 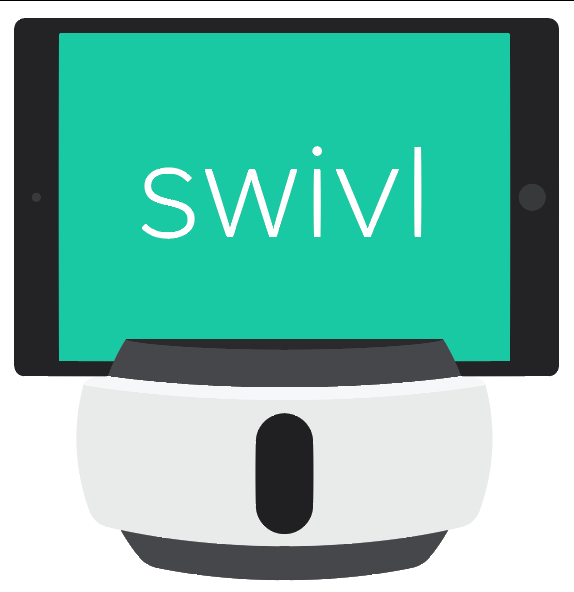 Try Recording your screen with Swivl+ Desktop instead of trying to record your smart board.